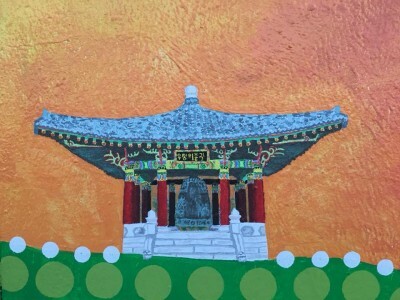 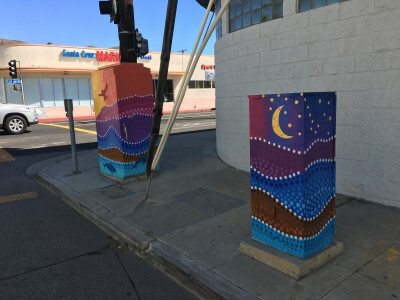 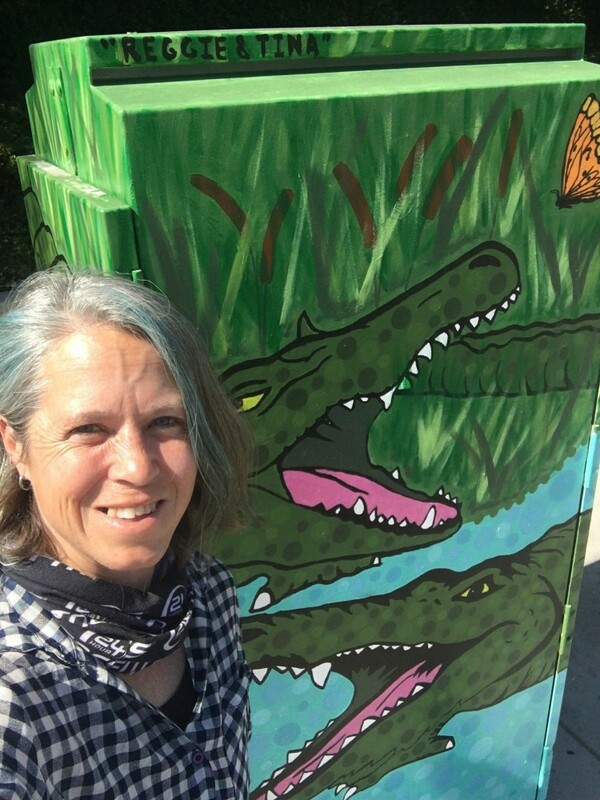 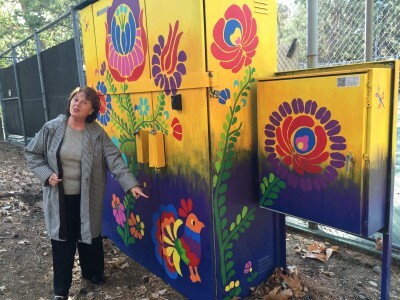 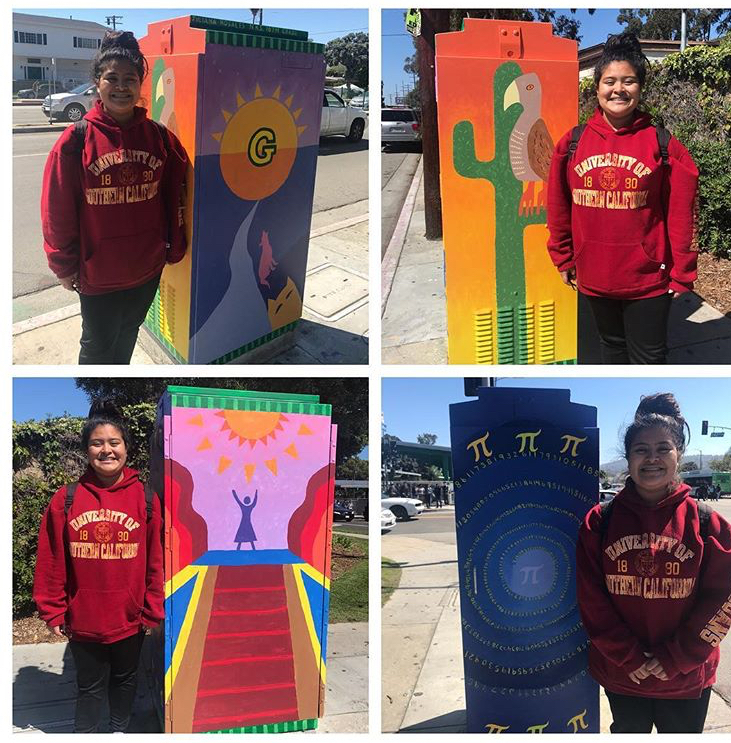 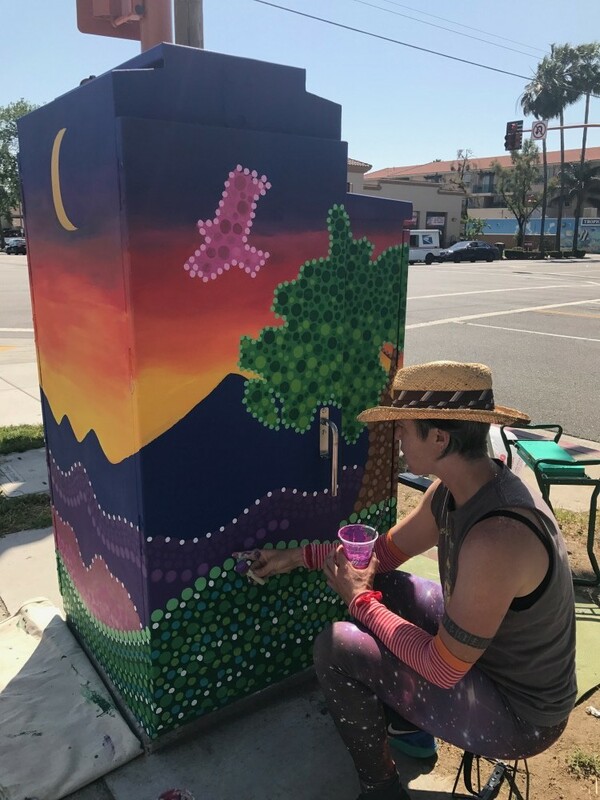 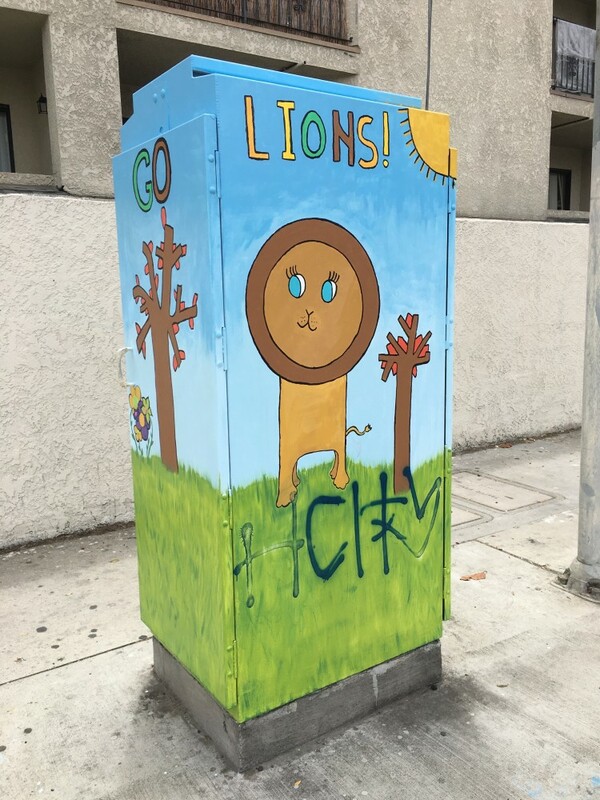 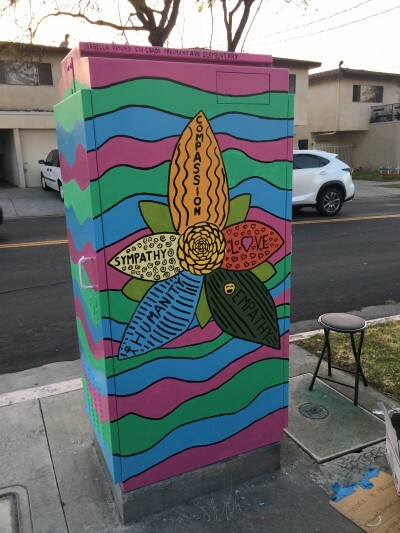 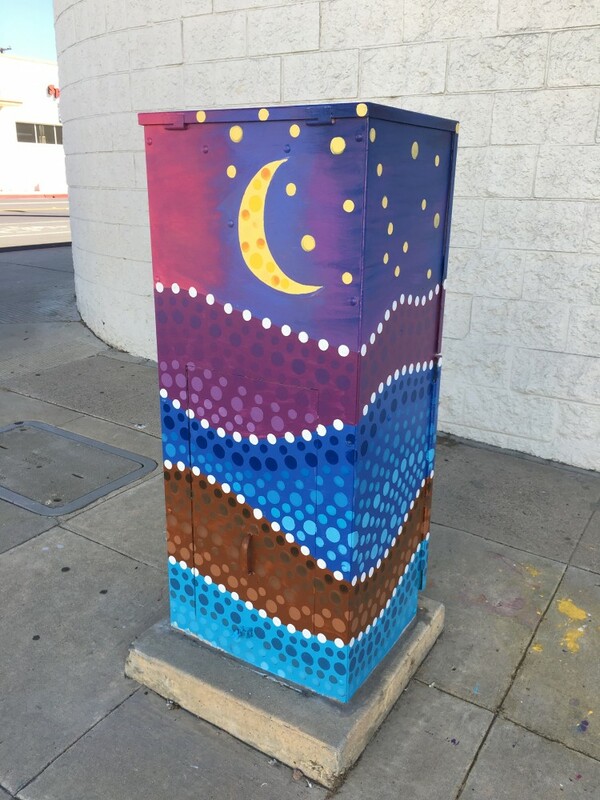 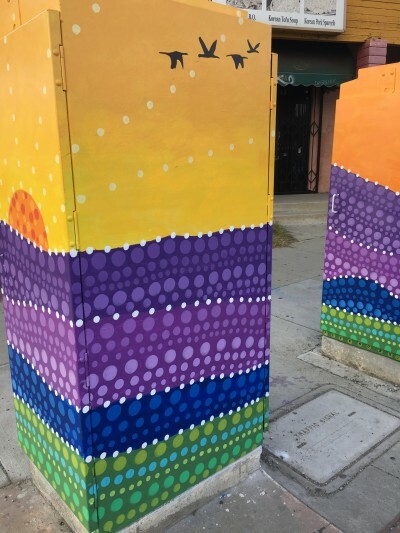 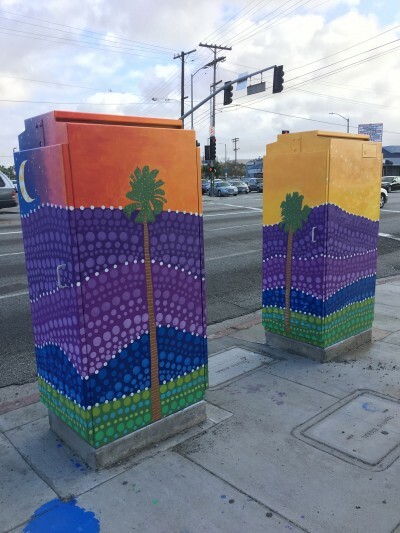 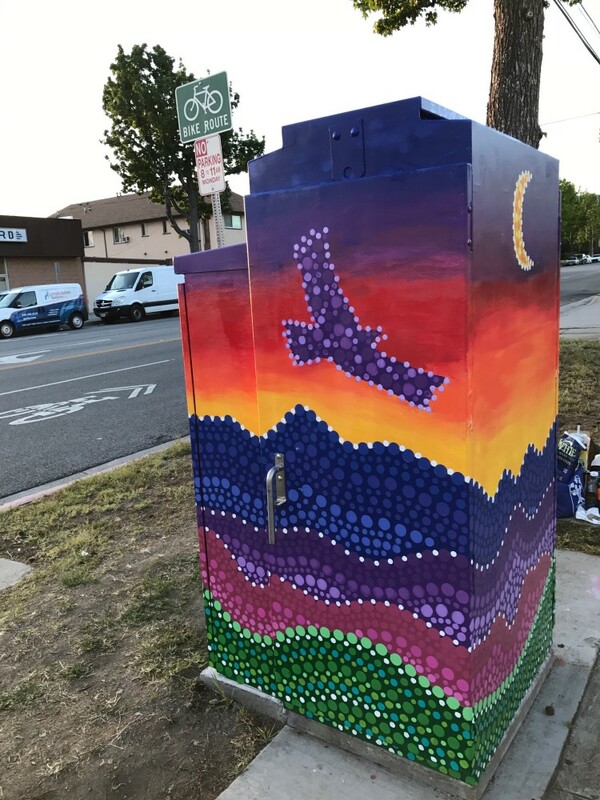 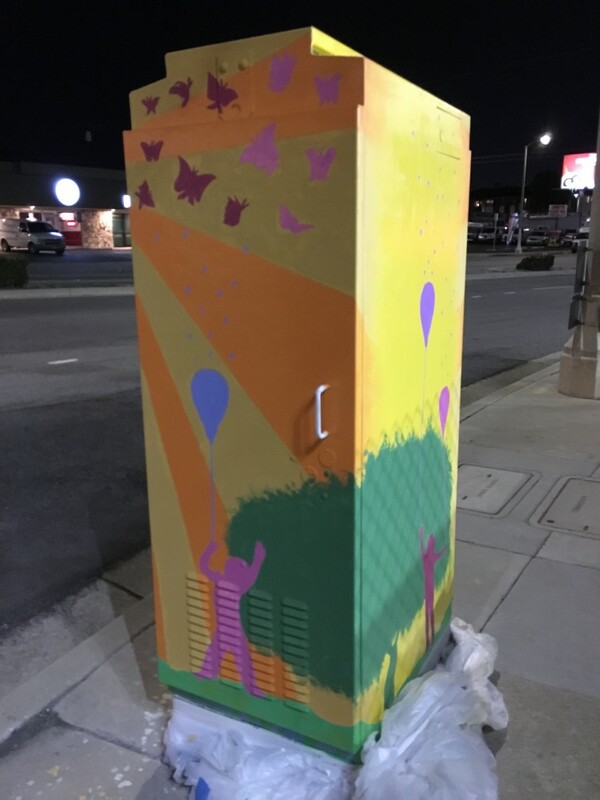 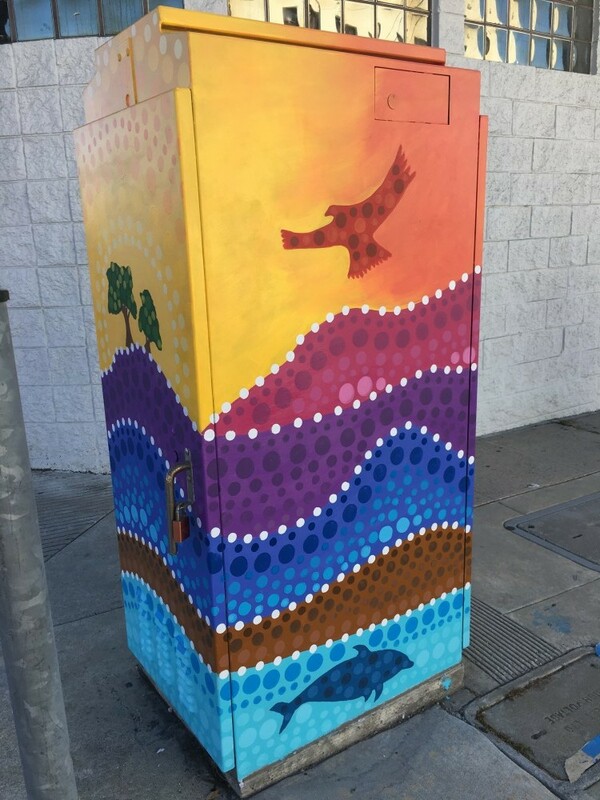 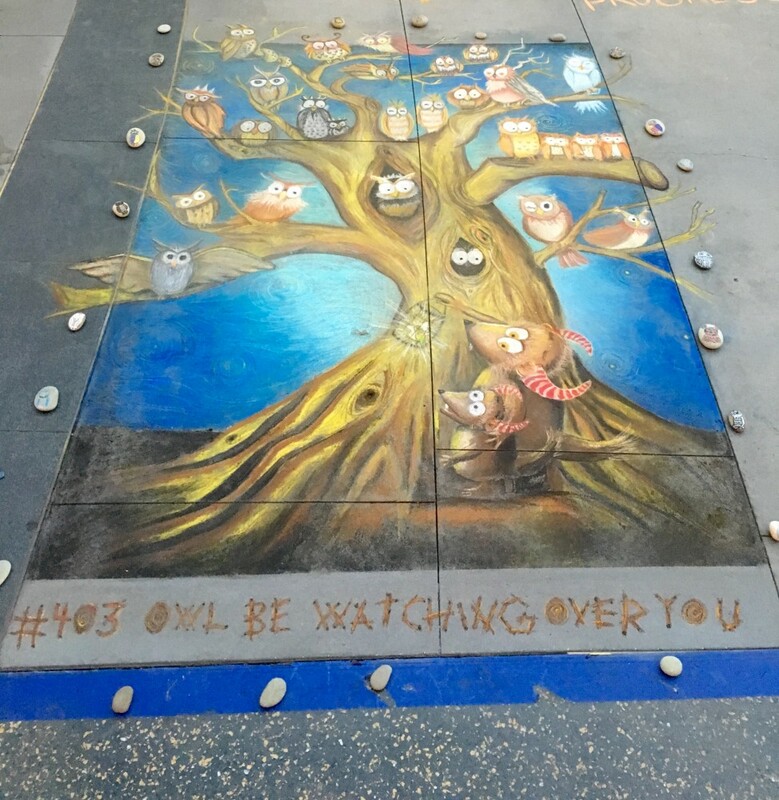 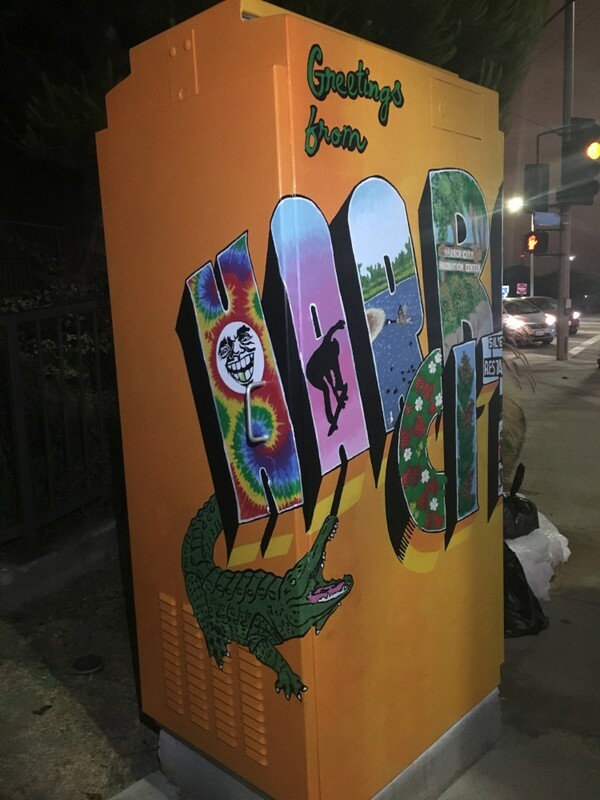 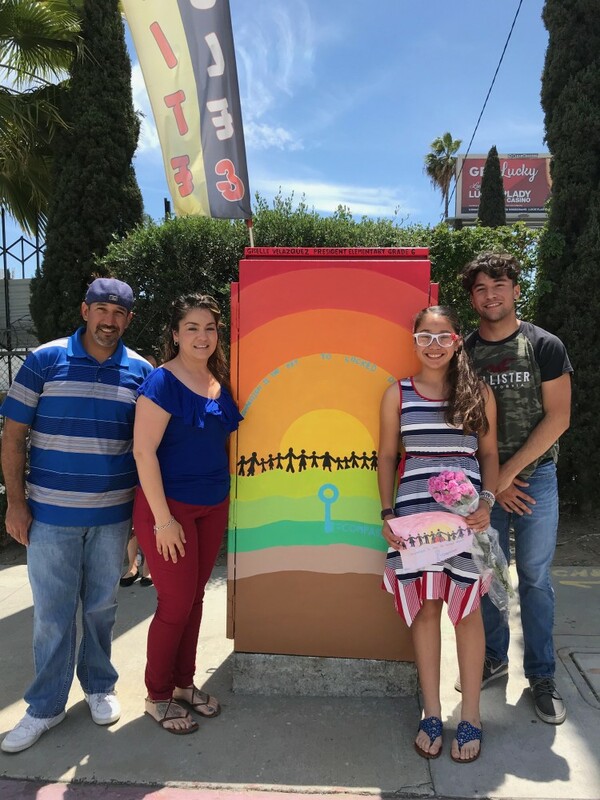 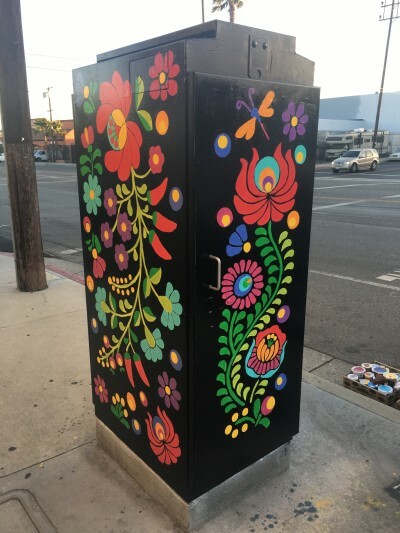 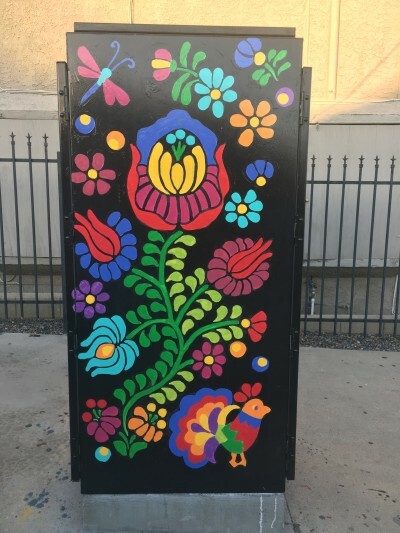 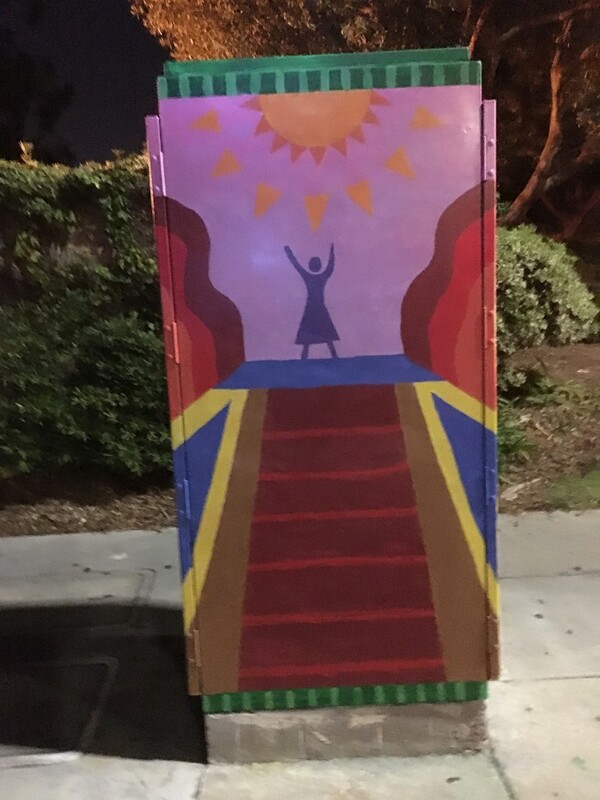 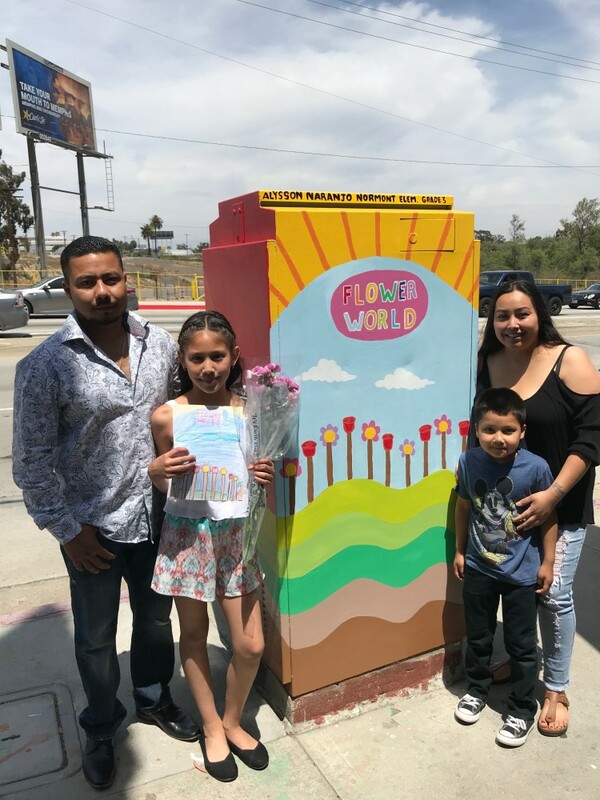 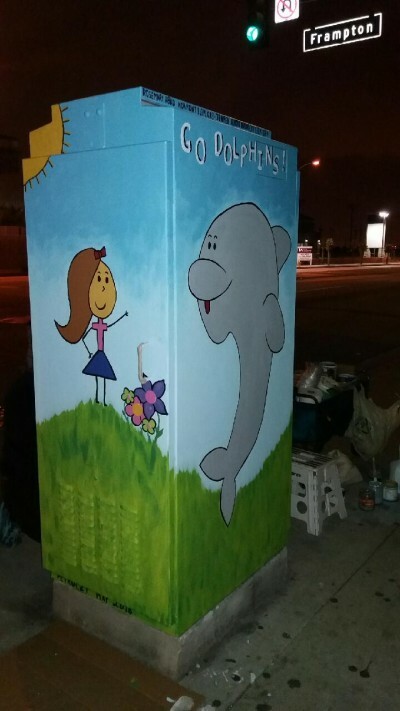 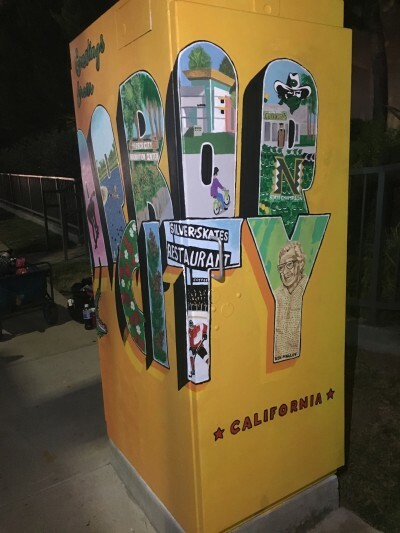 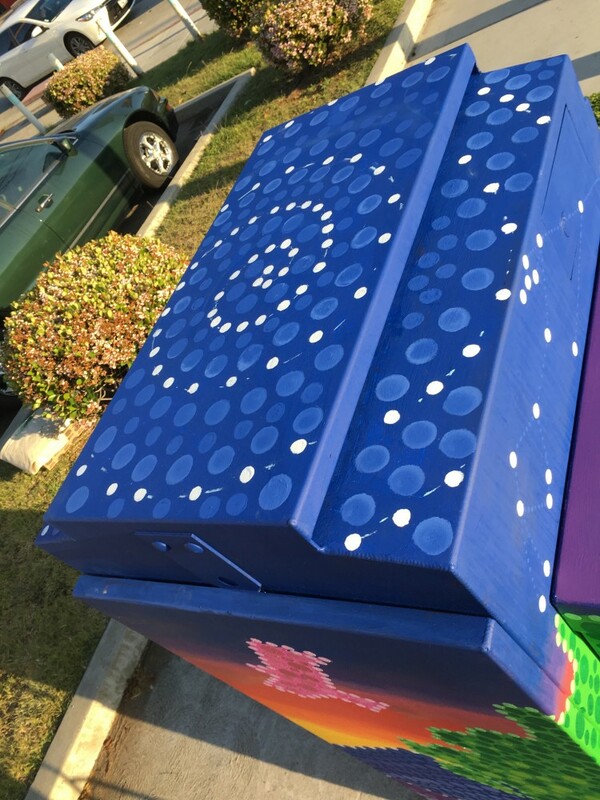 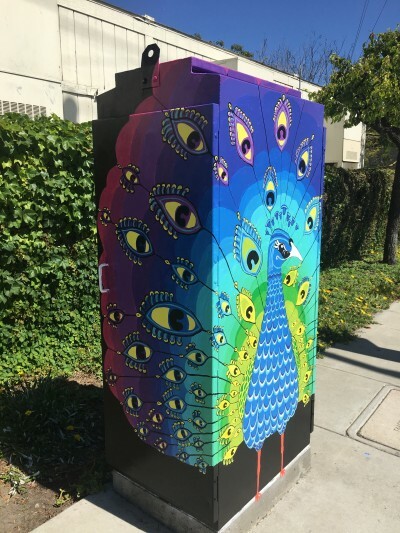 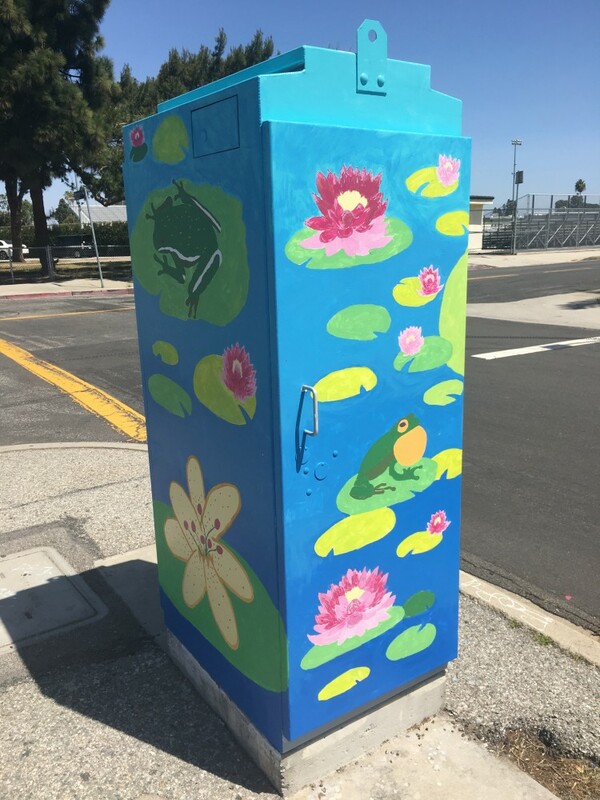 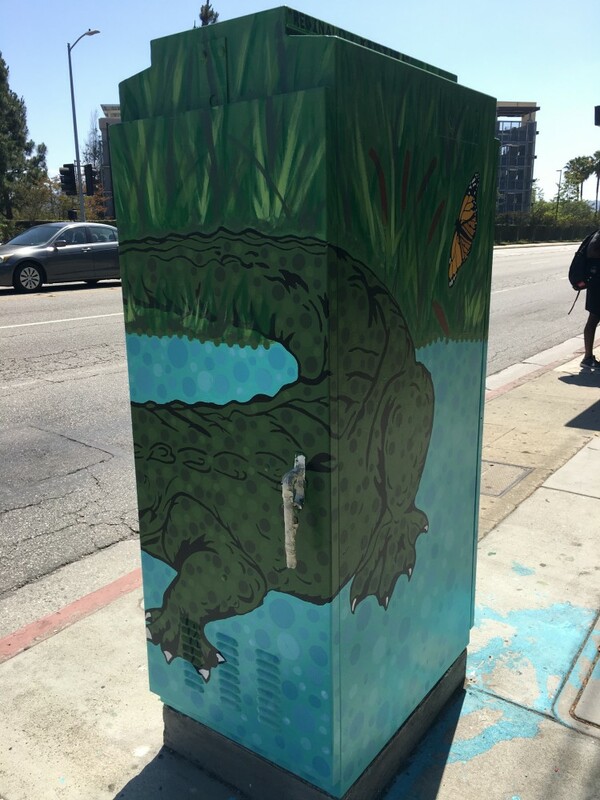 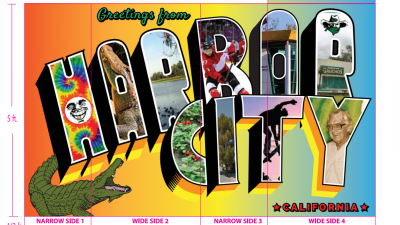 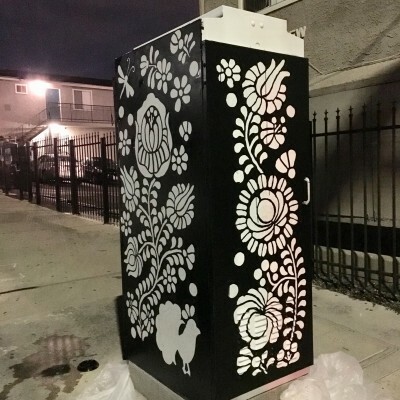 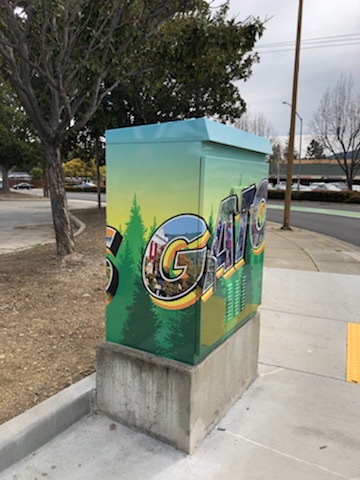 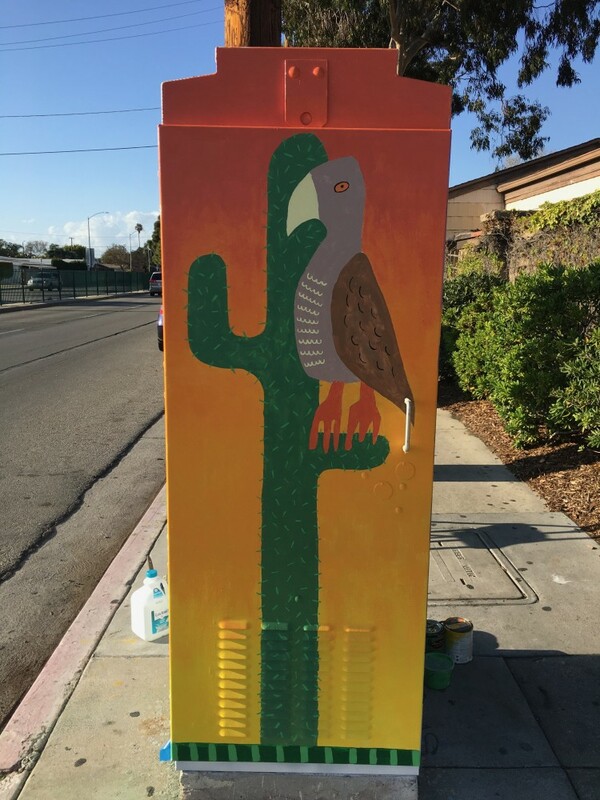 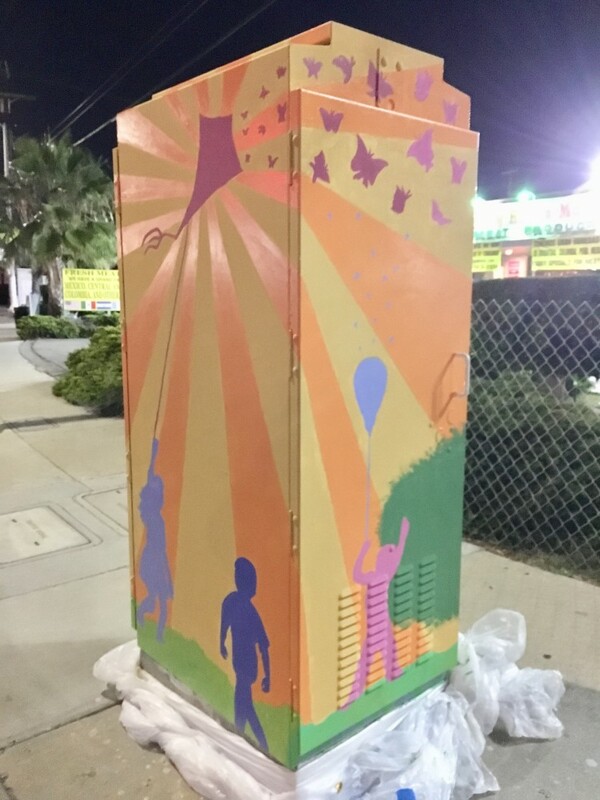 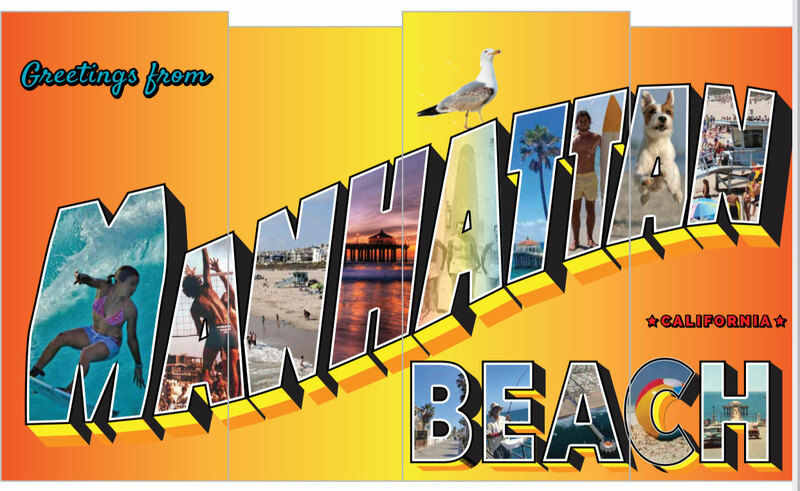 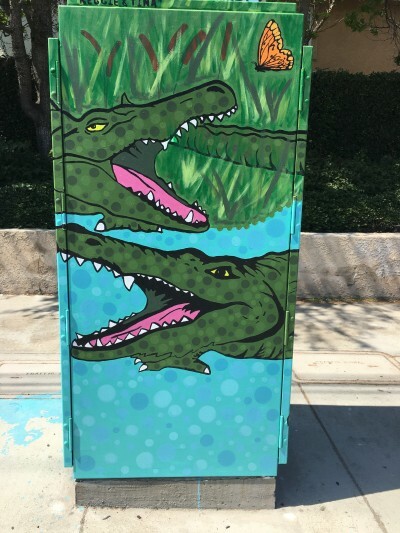 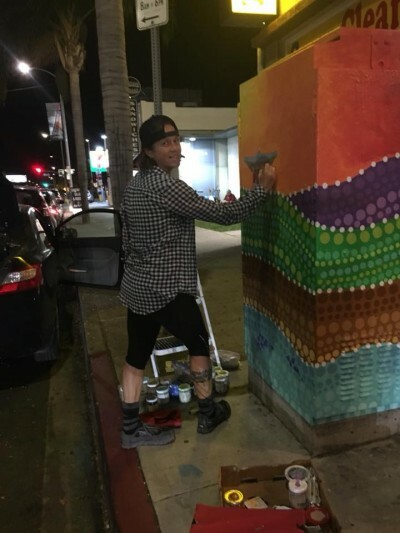 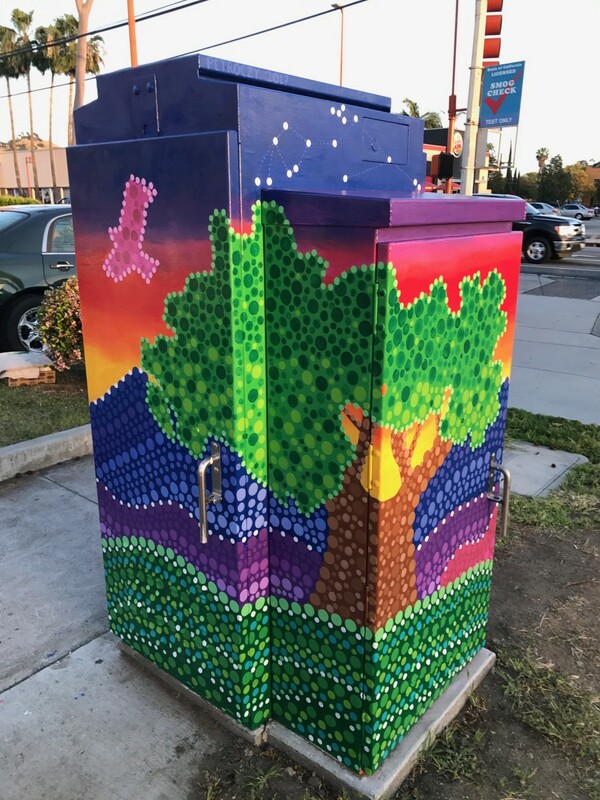 Here are a series of utility box murals created in Glendale, Ventura, Harbor City, San Pedro, Burbank, Los Gatos and upcoming in Manhattan Beach. 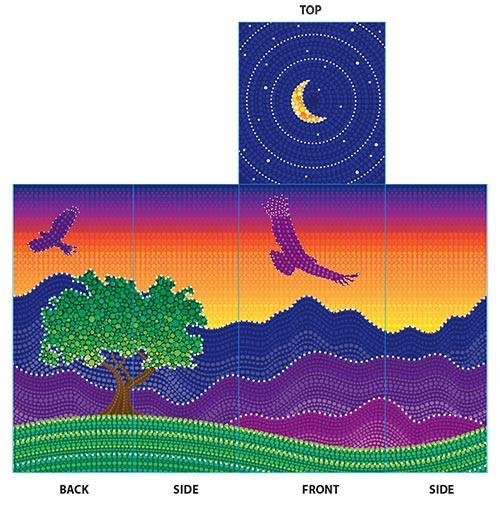 Jen Swain introduced me to these when making her own and I’m totally hooked. 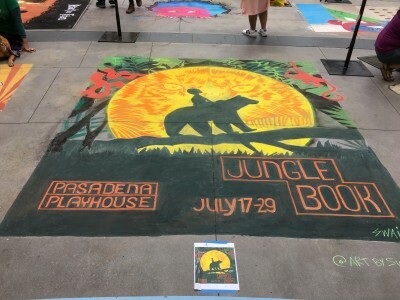 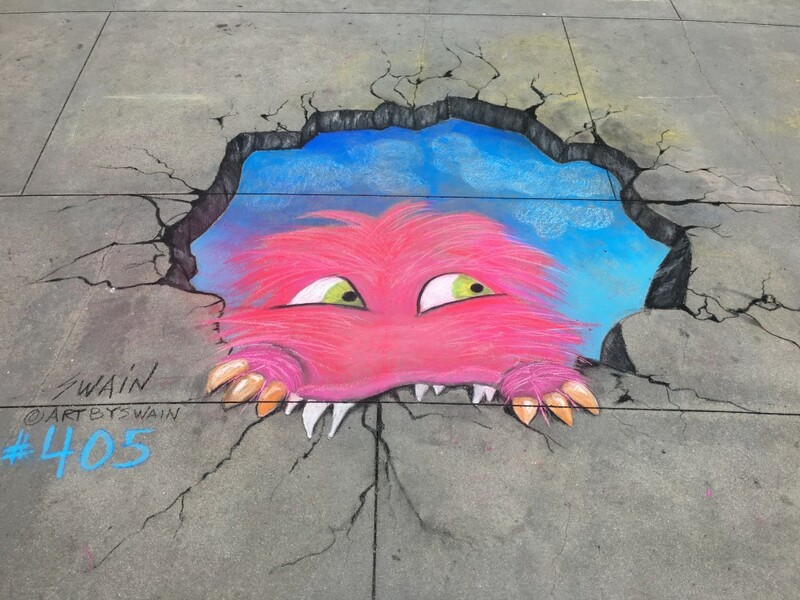 Jen also creates chalk murals every year for the Pasadena Chalk Festival and I get to assist. 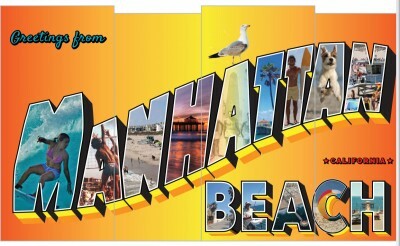 Jen also creates custom wall murals. 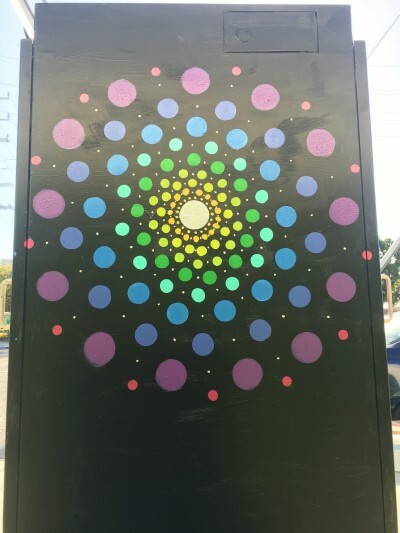 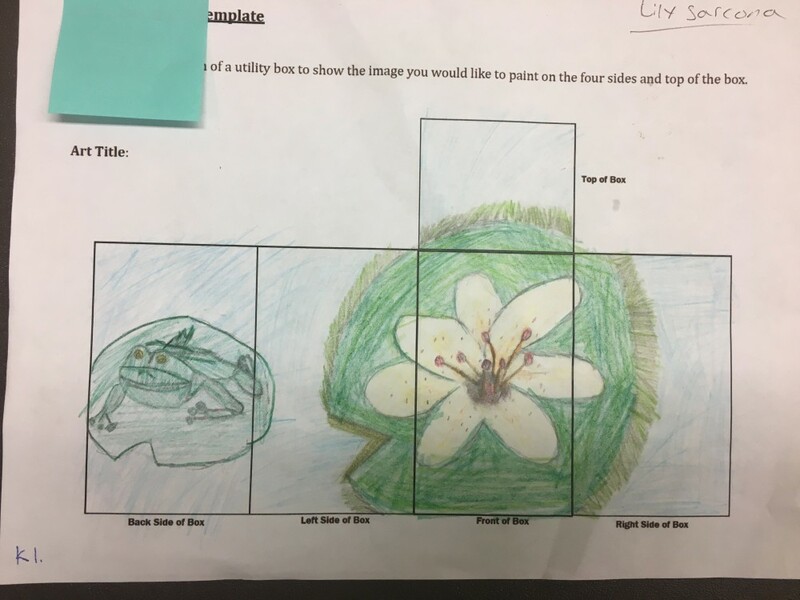 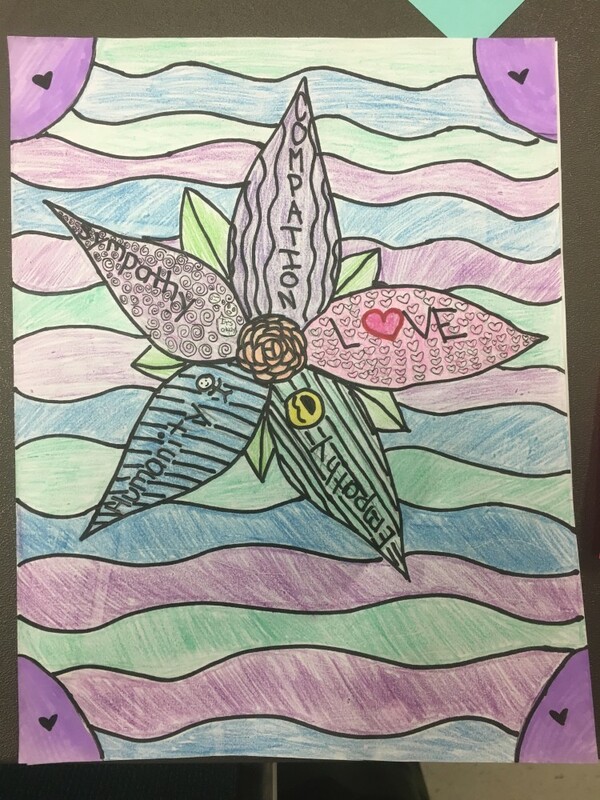 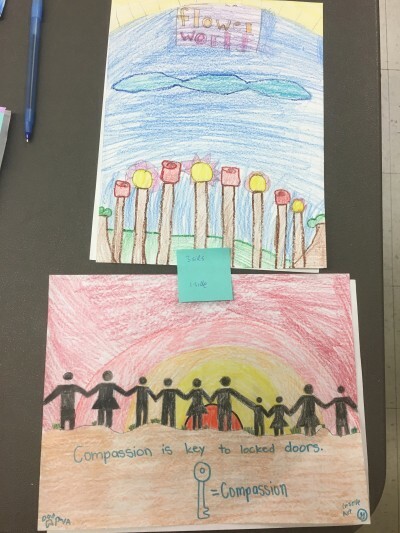 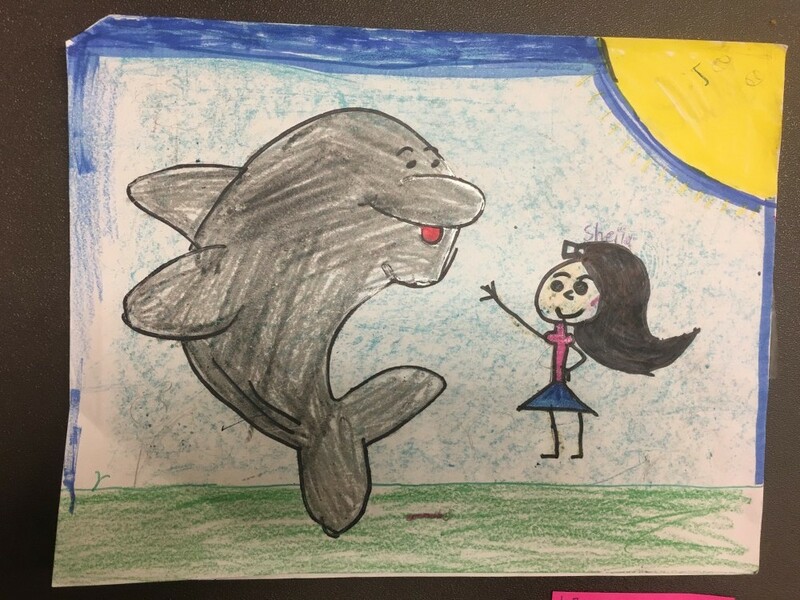 We are available for commissions and public art.